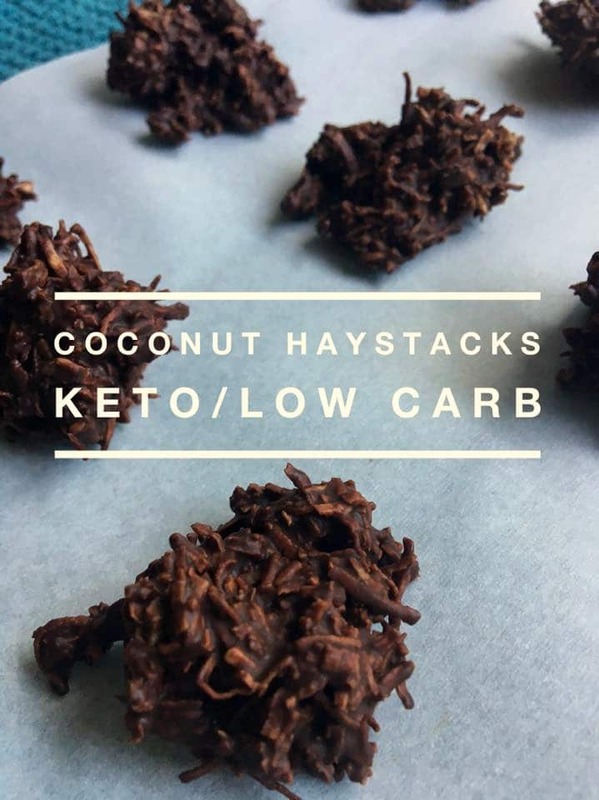 If you want a keto friendly treat, then my Coconut Haystack Recipe is just what you need. This is super easy to make and stores great so you have a sweet treat all week long! I have to admit, that I still like something sweet after dinner. It doesn’t have to be much, just a little bite or two is satisfying. I’ve tried lots of different fat bomb recipes and have liked most of them. Since I started keto, I’ve had lots of people ask if I have tried Lily’s Chocolate Chips. Up until yesterday, I had not. Hello, amazing! They are sugar-free, Non-GMO, vegan, gluten-free, and fair trade. They are also low in carbs with one serving being only two net carbs, and they taste great. Since my days are hectic, I wanted to create an easy recipe that would satisfy my sweet craving. I love coconut and chocolate and thought homemade chocolate haystacks would be the perfect solution. Gracious, I was right! They turned out so delicious! Now, where do you find Lily’s Chocolate Chips? I haven’t found anywhere locally that sells Lily’s Chocolate Chips, so I ordered mine online. I’ve heard that Whole Foods, Sprouts, and Fresh Market carries them. They aren’t cheap, but are worth it to me! Here are two options, if you can’t find any at your local store. Amazon is my first go-to resource for most everything. You can find Lily’s Chips here. 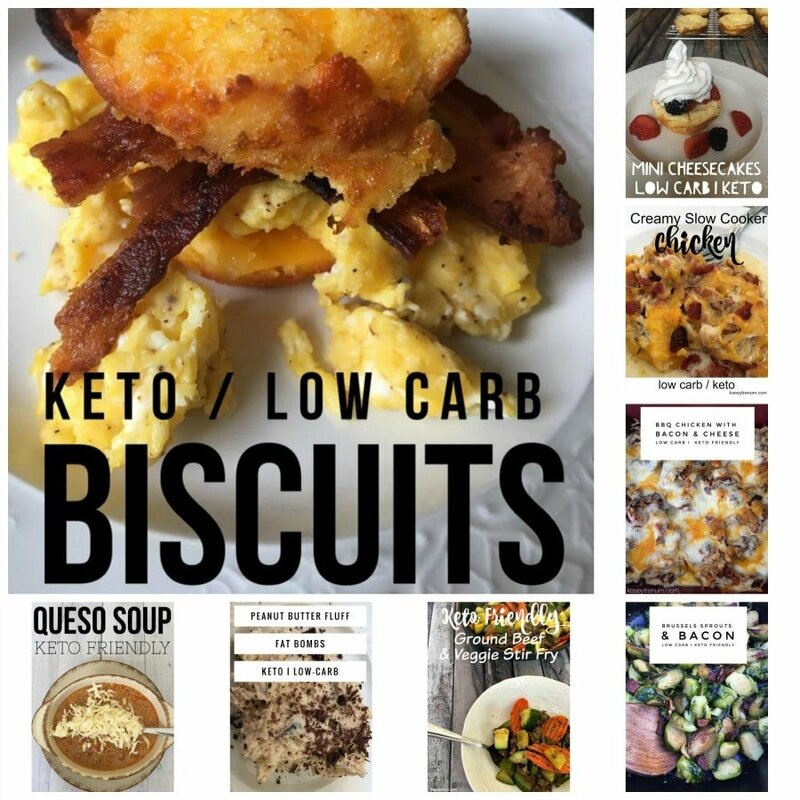 Also, as I mentioned in my post, 10 Easy Ways to Eat Keto on a Budget, Vitacost is a great resource for Keto and healthy living-related items. You can get $5 free off your first purchase for creating a new account here. Once you create your account, search “Lily’s Chocolate Chips” in the search bar to see current pricing. Spread coconut on a cookie sheet and bake for 3 minutes. Remove from oven, stir, then cook again for 3 minutes or until coconut is lightly browned. Using a double boiler, bring water to a boil, then turn down to simmer. Add 1/2 a bag of Lily's Chocolate Chips and butter in a double boiler and stir until completely melted. Add toasted coconut to melted chocolate. Unsweetened coconut varies in shape and size so it may take a little less than the amount I have listed. Keep adding coconut until it is completely coated with the melted chocolate. Spoon approx a 1/2 to 3/4 a tablespoon at a time on parchment paper. Set in freezer for 10 minutes, then store in the fridge. 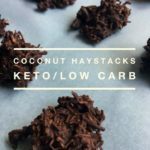 If you love this easy keto coconut haystack recipe, then you will love the others listed in my Keto Recipe Index. Below are a few of my personal favorite dessert like treats! You only add enough water in the double broiler so that there is enough water to boil and it doesn’t touch the 2nd pan. YUM!!! Was in the middle of making these before realizing I had no butter. Ut-oh!! So subbed one TBSP nut butter and 1 TBSP cashew milk for the 2 TBSP butter. They are SO DANG GOOD! I got 12 out of the batch. Def satisfies the need for something ‘sweet’ and choco. Thank you! That sounds fantastic! So glad you enjoyed it. I added just a little sea salt. YUM!!! Is the nutritional info for each individual haystack or for the whole batch? It can’t be the batch, as just the butter has more than 123 calories. Something seems off but I have not calculated it myself yet. It is sold on Amazon (the link to them on Amazon is in the post). If you have health food stores locally they may carry them. Why the double broiler ? Can’t I just microwave the chocolate chips ? I find that it melts easier that way. You can try the microwave, but mine seized up and they are too expensive to mess up. The recipe says to drop by 1/2-3/4 tsp. Do you mean Tbsp? Thanks! Yes, thanks so much for the heads up. I have made the necessary correction. Is there a way to replace Lilly’s with dark cocoa and xylitol/erythrytol? Lilly’s is so expensive. I’m sure there might be but I’ve never tried making it that way so I’m not sure of the measurements. I don’t see how to sweeten, recipe says sugar alcohol, did you use any sweetner. The sweetener is already in the Lily’s chips. Lucky Vitamin has best price on lily chips, always. 20% off right now. Stock up! Also I melt my chips in Teflon pan on very low heat… remove from heat as soon as melted. This is first of your recipes I had trouble with. They were so dry & crumbly, they wouldn’t hold ball shape. I had to add lots more melted butter and make them bigger (made 12) just to keep them from crumbling. Not sure what went wrong? I may not toast the coconut next time? I was super excited upon seeing the recipe but Lily’s is unavailable here. So how about giving an alternative to “half a bag of Lily’s ” it would be greatly appreciated. T.I.A. Not knowing what is available there I would look for a sugar-free alternative. I made these yesterday. They would not hold together so I added 2 tablespoons of peanut butter. They are really good. One a day is a big treat.